The subject of acne is a rather complicated one. You see, most of us probably believe that acne is caused by an infected sebum gland under the skin. While this is not wrong, it is also not the entire story. Acne really begins in the gut. An imbalanced or diseased gut manifests itself in all kinds of fun ways, acne being one of them. So don’t assume that your pimples are just a result of “oily” skin, overuse of “pore clogging” products, or a less than stellar skin care routine. You can do your own research on how acne starts in the gut if you so choose. 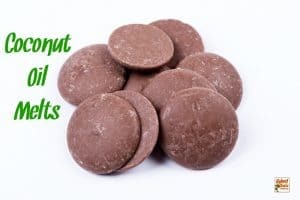 I would like to focus this post on how coconut oil can help those suffering from the occasional pimple to full blown cystic acne. At the end of the day, a pimple (whatever the root cause) is an inflamed oil gland. Sometimes it is just a small, red bump. Other times it is resembles something out of a horror movie. If you can see a pimple, you can bet that it is officially a bacterial infection at that point. Quick disclaimer – I am required to clearly state that I am not a licensed medical professional nor do I pretend to be one on this site. Take what I write as a launching off point to do your own research. My advice, experience, and suggestions are not to be considered medical advice. Some links may be affiliate links. I appreciate you using them to support this free resource. Coconut oil contains large amounts of lauric acid which is well known for being very anti-bacterial, anti-fungal and anti-viral. 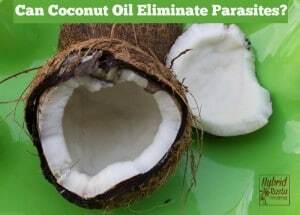 These antiseptic essential fatty acids found in coconut oil help prevent and eliminate bacterial infections when taken orally or applied directly to the skin. What’s interesting is that for the past year or so, nanobombs have been all the rage when treating those who suffer from acne. A nanobomb is basically lauric acid in a gold wrapped nanoparticle delivery system. The science behind this suggests that the gold wrapped nanoparticle allows the lauric acid to be delivered to the acne causing bacteria as opposed to just wandering aimlessly. These nanobombs aren’t cheap though. From what I can discern, applying coconut oil directly to acne prone skin is just as effective as a nanobomb. 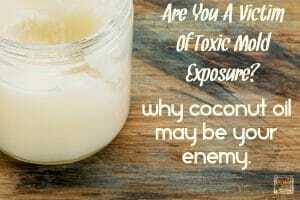 Additionally, taking coconut oil orally will help address an underlying gut issue that is playing a role in the acne. My vote is coconut oil for acne, straight up! Coconut oil is also a well-known cooling oil, which is great for hot, inflamed skin (which is what a lot of acne prone skin is). Your skin may not feel hot, but in Eastern medicine, acne prone skin has the property of too much “heat” or “warmth.” So using an oil that cools skin down is a good thing. 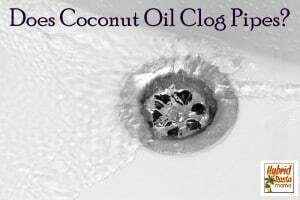 Another plus for using coconut oil for acne is that is mimics your skins natural oils and should not clog your pores. It is also very high in vitamin E which promotes healthy skin. 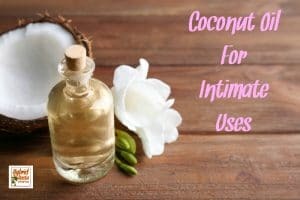 So how would someone go about using coconut oil for acne prevention and treatment? So glad you asked! The first thing you want to do is open your pores so that they will be more receptive to the oil. You can do this by taking a hot bath or a steamy hot shower. You may also do this by covering your face with a very hot washcloth. After your pores are wide awake, rub the coconut oil directly onto the acne affected skin. 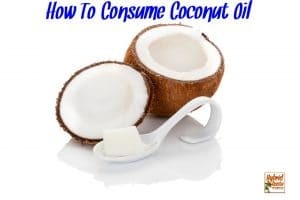 You may use either 100% coconut oil or you can mix it with some sea salt or raw sugar, which will act as a mild abrasive and help to remove dead skin cells from the skin. Once you have applied the coconut oil to your skin, cover it with a damp washcloth and allow the skin to soak up the oil for 5 to 15 minutes. 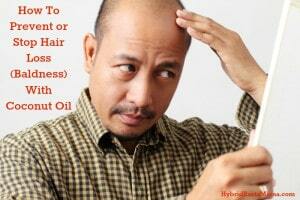 Then take a second warm washcloth and gently wipe the face in downward strokes until most of the oil is removed. Gentle is the key here. Need something more than just coconut oil? Here is a face wash recipe that can be used in place of plain coconut oil or in addition to it. 3 drops each of 3 three of the following essential oils (all good for oily skin/acne) – bergamot, cypress, eucalyptus, geranium, grapefruit, jasmine, juniper, lemon, lemongrass, orange, patchouli, petitgrain, sandalwood, tea tree, or ylang ylang. Blend the ingredients together using a small spatula – NOT WOOD. It absorbs the EOs. Pour the mixture into a jar or bottle with a secure lid. Keeps for a long time so you can actually make a huge batch if you like it. I love a good face mask. Do you? There are some amazing face masks in my eBook so check that out if you haven’t already. 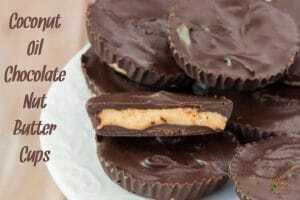 Here is a recipe for one that is particularly good for acne prone skin. This one is a non-coconut oil recipe. I have to mix it up a little! Blend everything until just combined. Apply to the skin, making sure the mixture is thick enough to stay on the blemished areas. If necessary add a little more oatmeal to thicken the mask. Scrub it off with a washcloth dipped in warm water. Have you used coconut oil for acne? Share in the comments! 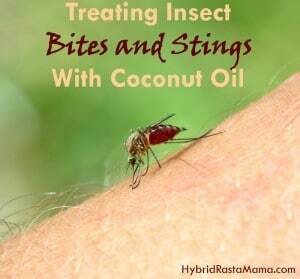 And don’t forget to check out my post on all the other great uses for coconut oil. Great post. 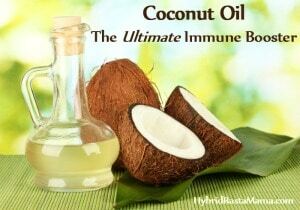 I LOVE coconut oil and am always fascinated by the many uses. I look forward to your other posts on coconut oil! I love love love coconut oil (yep, it deserves love three times). 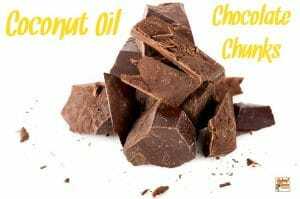 I love it for my hair, my body, my food, by the spoonful… But, I have read where some people have negative reactions using coconut oil on the face…more breakouts, etc. Any thoughts on this? You must the virgin, refined coconut oil and do not put on too thick…a very small fingertip amount is more than enough to cover your whole face. Or I have also tried putting it on and after a few minutes wipe it off. It still does wonders…and again you still have to take care of yourself internally…..but I love using the coconut oil….it really works. I meant to say use the virgin, unrefined coconut oil….. Thanks for sharing, Christine! I have cleared up my skin by changing my diet and product use. 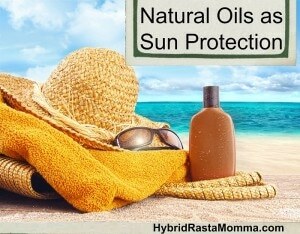 Natural products including oils and no more medications! But, I haven’t tried coconut oil on my face for fear I would break out again. I figured it was one of those things that might get worse before it improves 🙂 I appreciate your input. coconut oil for acnes Information is relevant and totally up to date. I am sure it will help the people and this blog will enhance their knowledge. Nice work. Coconut oil is great! Whenever I see the smallest blackhead/pimple, I put on the coconut oil immediately and a couple days later, it’s gone! Can’t go wrong, also with the price of the coconut oil. The coconut oil I bought was called Memory Oil. I don’t know if anyone knows about it but I’ve heard from a couple people that this stuff is much cheaper than the more valued $20-$30 brand coconut oil. Btw the memory oil is $10 a bottle and the link is http://memoryoils.com/ Thank you! Raw potato can be used as a acne treatment. Try this neat little trick to use as a acne treatment to clear up your face. Cut a raw potato in half and rub the flat end on to your face thanks for sharing. At 28 years old, I’m in the worst acne breakout of my life 🙁 I googled “acne coconut oil” because from what I’ve read, that stuff fixes just about anything! Glad to have found this post and am off to try it right now, thanks for the info. I was searching the benefits of coconut oil on acne because I was curious to see if anyone else had experienced positive results. 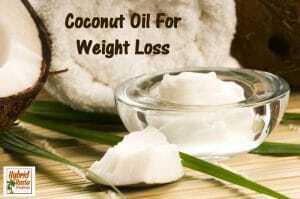 I apply coconut oil on my face after a shower. I have been using it religiously for a month now and so far so good! My face has NO acne and looks better than it has in a few years! It appears that my fine lines are softened. My face is super soft and the color is amazing! I don’t need makeup anymore! My face stays moisturized all day. The smell and feel don’t bother me – but I am very laid back and I can see how others might not like it. Don’t be afraid – try it! Coconut oil is great.I can attest to that.I LOVE IT! i am absolutely going to try this. i am at war with my acne. thanks so much! I completely agree. I’m pregnant and have been getting some of the worst breakouts of my life. I was upset at not being able to use salicylic acid anymore. I had heard about the anti-* properties of coconut oil, and on a whim I put coconut oil on my bumps and pimples. Within a few hours to the next day they had shrunk completely. I learned, though, that it’s not good to put it on my t-zone, as it may exaggerate any blackheads I have there (then again, I would put so much oil on my face that it looked like it just got car waxed). Thanks for the gut info! Any idea if a good Indian/Greek pure yogurt will help cure gut diseases? Is it a flora issue? what is a good brand to try?? there’s so many! which brand should i try? @kb Go to my Products I Love page and you will find my three go-to coconut oils! Thank you for this post. I have had acne since I was eleven and I’m now going into my late 20s, with milder acne, but still have it nonetheless. 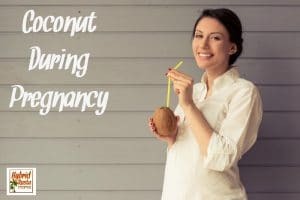 I saw organic virgin coconut oil on sale today & bought, knowing it was good for me, but wasn’t sure how to use it exactly. I came across this article and it has really helped. I can’t wait to start using this! Thank you for this post. I have had acne since I was 11 (it was really bad) and now in my late 20s, where it’s now milder, but still have it nonetheless. I bought organic virgin coconut oil today, since I knew it was good for me but wasn’t sure how to use it exactly. In my research, I came across your post and really appreciate your stance on coconut oil on acne. I can’t wait to try it tomorrow and hope the results are positive! 1. Are all coconut oils in ‘solid’ form? I know it melts quite easily, but the ‘commerial version’ I located at the grocery store is ‘solid’ like a lard. 2. 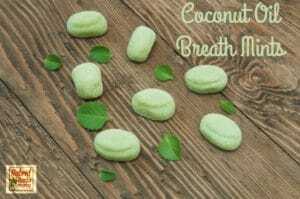 Will this coconut receipe also address the hyper-pigmentation (I am a chocolate color woman *smile*) caused by blemishes? Sorry for the delay in replying! I was locked out of my comments for a few weeks as I made this move to my new website. 1. 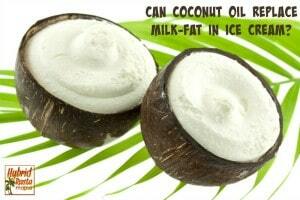 Coconut oil is only in solid form below temperatures of 76 degrees of so. Above that and it turns to liquid. 2. Yes – it will definitely benefit hyper-pigmentation. It worked well for my husband! Well it looks like nanobombs have ‘bombed’ 🙂 I have not seem them taking the acne world by storm and clearing every case of nodulo-cystic acne in their path. I made this face wash and love it, however it is a little too runny so most of it is likely going down the drain. Any suggestions on making it a little thicker? Also, aloe vera juice must be refrigerated once opened and has an expiration date on it…..if you are only using it for the face wash do you have to stick to those requirements? The face wash can thin out during warmer weather because the coconut oil melts. I have a problem with that as well. Add a wee bit more glycerine and reduce the castile soap by one tablespoon. Also, I don’t worry about the expiration on the Aloe Vera juice since I am only using it on my face. But do what feels right to you. And always give it the sniff test! If it stinks, don’t use it! Everyone is different – probably not what you want to hear! It took me very little time to see improvement but it took my good friend several months. A lot depends on your overall diet and gut health as well. Stay with it because you WILL see improvement. On average, it should start to look noticeably different by the 8 week mark. Thank you so much for your feedback! I’m getting married in October & hope to have great skin by then.. I should have started earlier.. But I guess if things start to look bleak, I’ll turn to other sources! So happy congratulations on your wedding…since its october already. Did the coconut oil work for your skin? I’m interested in knowning before I start to use it. Quality articles or reviews is the main to interest the visitors to visit the web page, that’s what this site is providing. 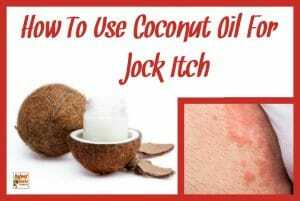 thank you dear Jennifer for the great article, many people ask if coconut oil is really good for acne, the answer is very simple, it is a 100% natural element so giving it a try will never harm the skin even if it won’t cure all the acne. Thanks for this great article. It is very beneficial and helpful. Agreed! Coconut oil has a lot of properties which make it effective for treating acne. First of all, it is an antibacterial, antifungal, antimicrobial and antioxidant.